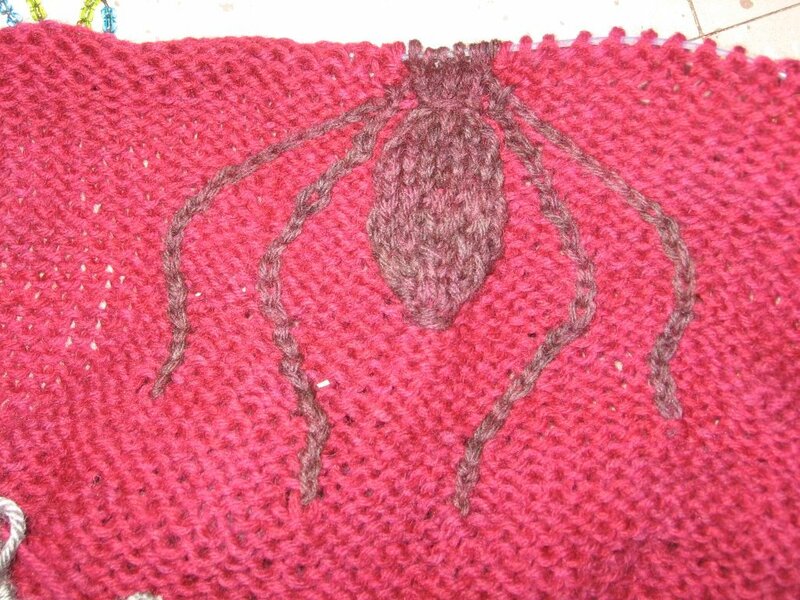 My little spider is coming along nicely. She should just about cover my back. I'm pleased! I couldn't be happier with the colors of the yarn. 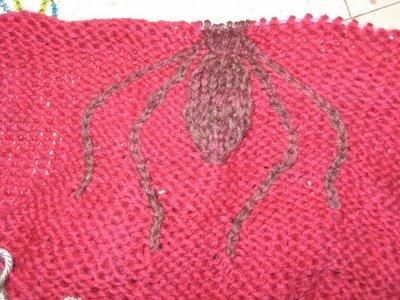 I started with baby pink yarn, which I dyed burgundy, and I dyed a small bit with black Wilton's, but the color came out more of a raisiny color - sort of red black. It's the exact colors of my dress, and I'm thrilled! oooh! I can't wait to see the FO!!! CUTE!!! !